I´m a bloodite from a long time ago, but never joined the active community until now. It´s a pleasure for me to be here. I wanted to talk to you about one idea that I´m not sure if someone had before, but that I think could be interesting. Blood 2: The Chosen had a lot of problems, specially technical, but also artistic. Besides that, I think the idea of Caleb living during all that time, from 1920s to the future was so interesting, and also some of the aspects of the game was amazing. - What do you think about the idea? 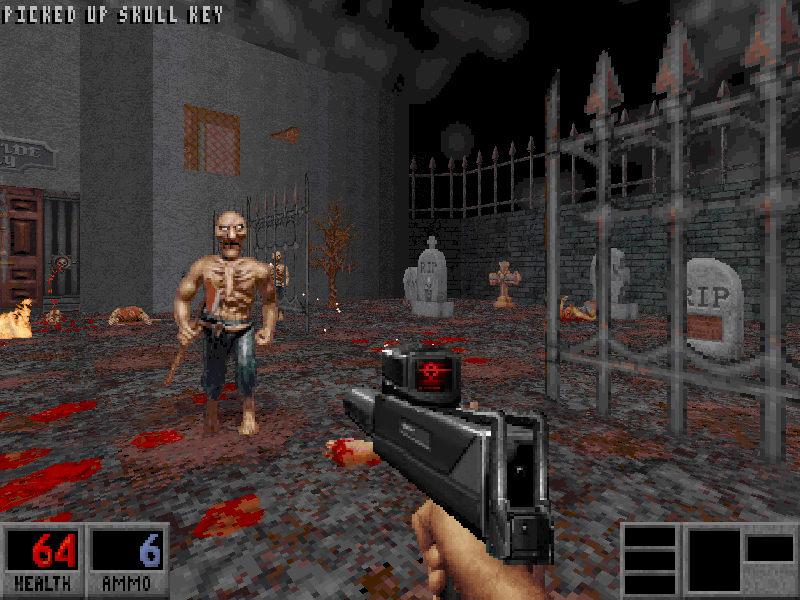 - If I start to do this mod, what you will suggest me, to do it for the Original Blood that just can run in Dosbox, or to focus in one kind of semi-port, like BloodCM? I wanted it look as much possible like the original, so my first option is this, but the problems with the private sourcecode made me have doubts. Also I want to show you the first weapon I was working on, based on different sprites. Is a conversion of the Mac-10 Submachine Gun, more well known as "the Uzi of Blood 2". Maybe is too little in comparison with the one in-game of Blood 2, but in general the exagerated the sizes of the guns a lot in the sequel. Welcome to the forum JoJo. The idea of doing a classic Blood on Blood II has been floated before, but I do not think I have ever seen the inverse. Blood is a hard game to modify to the extent you are after due to the lack of external scripting, so BloodCM would not be a bad way to go if you need to. It is not quite the original game, but it is close enough in theme and mechanics that it should be fine for a project such as this. As for the idea, I am all for people being creative. Thanks for the advice Tchernobog! Yeah, I was thinking the same, I preffer do it under the original Blood code to be as similar as I can to the original, but must be really hard to do it in this way. By the moment I will continue with the conversion of weapons, and I´ll continue with enemies and textures after that. When I have a little bit of everything I will start to do a test map to see how is working everything. I will follow your advice and I´ll try to do it under BloodCM to check how it works, thanks! This is an excellent idea. Use BloodCM as your base. 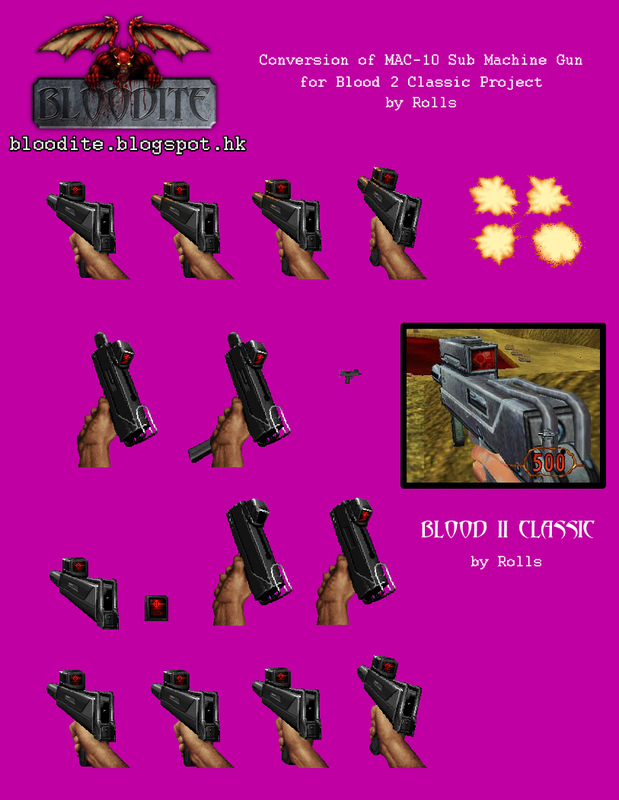 It runs smoother on windows at it will allow u to recreate all the crazy weapons in Blood 2. I doubt you'll be able to pull off most of the more advanced weapons with the original Blood game. Where are u getting the art for the weapons? As someone who also longs to see a Blood 2 mod for Eduke or Blood Crossmatching, good work, JoJo! Duke fans remade parts of Duke Nukem Forever in Eduke, why not Blood 2? There's so much you can pull off in Eduke, I think Blood 2's world would definitely feel more complete in a Build-sprite-based engine than it did in Lith Tech. I look forward to see what the rest of the weapons and the enemies will look like. Do Gideon and Cabalco proud! I'm loving the idea JoJo and welcome I guess a set of maps for this would be out of the question? Oh, BloodCM all the way! I was a fan of ZBlood and the concept of making stuff for Blood outside of just vanilla maps so this is pretty cool to me. Also, it's nice to see Blood 2 getting some more attention in terms of fan-works. Yeah I don't understand why Blood is always given so much attention when it comes to remakes. It's pretty dang perfect already and any remake or reboot would be scrutinized severely no matter what. But Blood 2 on the other hand is so flawed and had so many shortcomings any recreation would be given so much praise. Seems like the best choice when it comes to remaking anything in the Blood franchise IMO. Blood get alot of remakes cause people love the game and they wanted the source for it for so long. But Blood 2 Classic sounds like it would be fun for me to play as I never played the real Blood 2 game, almost bought it, but changed my mind. NoOne and BME if you contact them perhaps at the Bloody Repo site, they can help or offer suggestions on how you can mod the weapons and everything else into the old Blood Engine. NoOne has moded 12 or more weapons already with changed characteristics in Blood with special tools used now in Blood modding. As I understand all the weapons in which you can see caleb hands had his arms with a leather jacket, but some models are too close to the camera to appreciate this cool detail , and considering that there's a little more of space for the sprites in blood I thought it was a neccesary detail to add. The source of the leather jacket is unclear but it comes from the zdoom forums adn it could be researched if necesary. Ok, good luck with the project! Just needs someone to include it in the game and add it the sounds.